This combative trio blood test panel checks markers required for MMA and fighting licenses. What is in the MMA Fighter Combative Trio Panel? This MMA blood test panel includes the hepatitis B surface antigen, hepatitis C and HIV blood tests. Why is the MMA Fighter Combative Trio Panel important? This fighter's blood test panel is important because blood clearance is required in most states prior to fighting and mixed martial arts competitions. This MMA Fighter Combative Trio Panel is a blood test. The MMA fighter combative trio panel, also known as a combative trio blood test panel, fighter blood test and an MMA fighter lab test, checks blood tests required for licensing of MMA contestants, boxers, and cage fighters. This combative trio blood test panel includes the hepatitis B surface antigen test, hepatitis C test and HIV test. MMA, or mixed martial arts, has grown in popularity alongside other combative sports such as boxing and cage fighting in recent years. Because of the risks involved with competitive fighting, state licensing boards have become increasingly involved with licensing fighters prior to stepping into the right. To protect other fighters, one of the licensing requirements in most states is to get tested for communicable diseases given the potential for sharing numerous types of body fluids, including saliva, sweat and blood. This particular MMA combative trio lab test panel checks for hepatitis B, hepatitis C, and HIV in the blood. This trio of blood tests is required by many states and licensing organizations. While it checks some of the same lab tests included in the STD test panel, it does not include other important STD screening tests like the herpes test. Also, it is important to know that some states, like Nevada, required additional tests which can be ordered through the advanced MMA test panel. To get an MMA combative trio blood test panel near you at a Quest Diagnostics lab, simply order online and get tested at your selected lab. 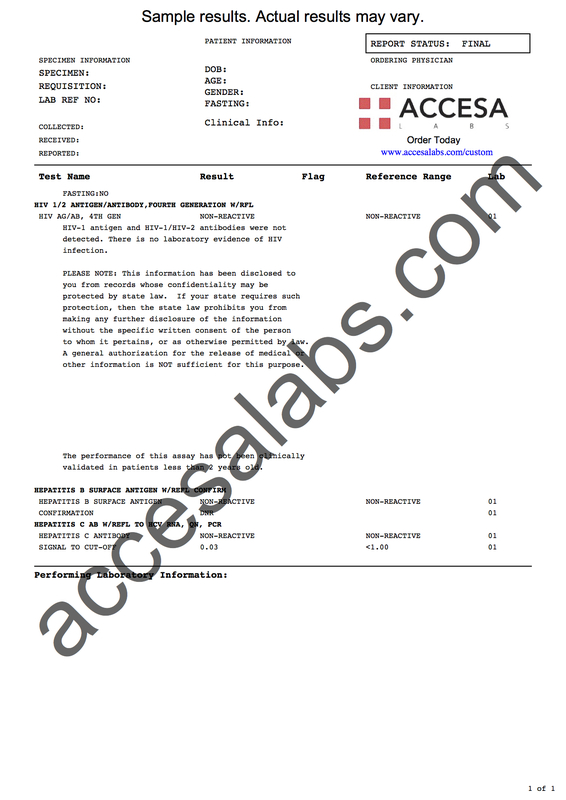 You will be able to download your MMA combative trio lab results electronically when available. MMA Fighter Combative Trio Panel at Guaranteed Prices.